A peek behind closed doors last week. I was at the London Victoria offices of DP World, the global logistics company that now owns the lion’s share of P&O (minus the cruises). It’s also home to the P&O Heritage Division with its extensive collection of ephemera — paintings, model ships, silverware and more. 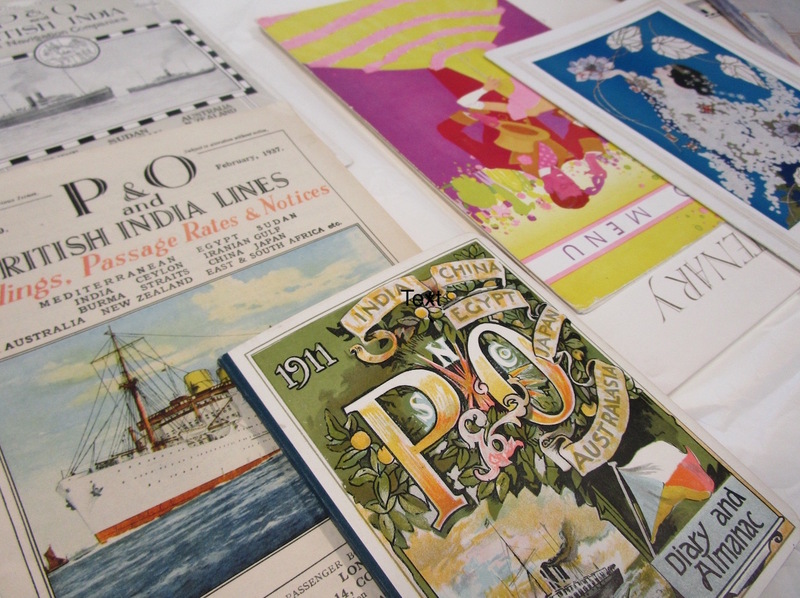 Some of the most colourful items were the printed menus and postcards from the 1930s [pictured above]. I was there to interview the Senior Curator, Susie Cox, as the company celebrates its 180th year in 2017. Read the full feature in a forthcoming Telegraph Cruise. Liked this? Try also Memories of Cunard from Liverpool’s golden age of cruising. Sign up to my newsletter for more articles and details of writing workshops. I had a piece published this week in the family holidays section of Telegraph Travel. 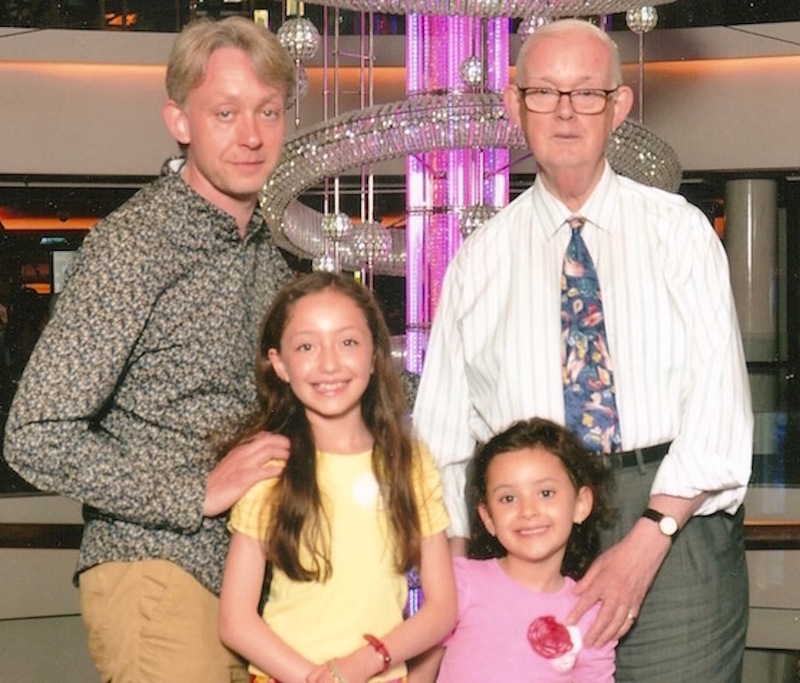 It was a piece about a multi-generational cruise to appeal to a broad age range — in my case from Olivia, 6, to grandad, 76, [pictured above]. Do you have a multi-generational holidays experience to share? Read the full story The best multi-generational cruises. Liked this? Try also In Flanders Field for Telegraph Cruise. The first assignment of autumn then. It was a return journey to an old favourite destination — Flanders — but with a new perspective. I’ve been before to Bruges, Ghent and several times to Antwerp. 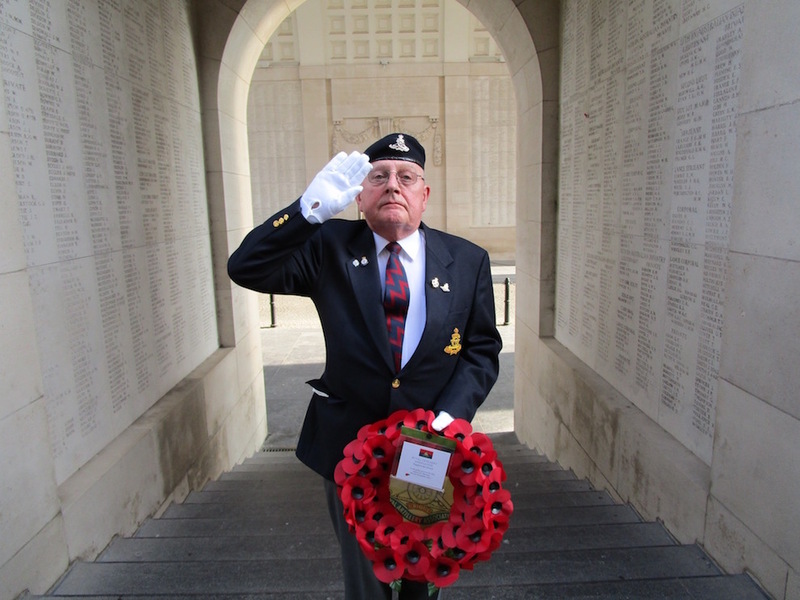 But I had never visited the WWI heritage sites of Flanders Fields, nor previously witnessed the moving Last Post ceremony [pictured above] at the Menin Gate in Ypres. It was also my first river cruise assignment after several previous ocean-cruising commissions. The story is for Telegraph Cruise and will appear in the spring of 2017, timed with the centenary of the Battle of Passchendaele. Check out a Flickr gallery of images from the trip. Liked this? Try also Rubens in Antwerp. The port of Hamburg [pictured] has a proud maritime tradition — 826 years of trade and passenger traffic. Today it’s Germany’s leading cruise destination, welcoming 189 ships and 590,000 passengers in 2014, including AIDA Cruises, TUI and Cunard. It celebrates its maritime legacy each May with the Hamburg Port Anniversary [May 5-8 this year] and biannually at the September-anchored Hamburg Cruise Days festival, the latter involving a spectacular, firework-shrouded sail past of ships. The 5km sweep of the main harbour offers plenty for a day ashore with museums, markets and café-mooching all within walking distance. That is, if you disembark at HafenCity, the most central of the three cruise terminals. If you’re arriving at Altona or the newly opened Steinwerder terminals, then factor lengthier transfers into your timings. The burgeoning HafenCity district, covering 157 hectares along the northern banks of the River Elbe, is still something of a work in progress but growing as urban-regeneration extension to the port city. The ten neighbourhoods, ultimately home to 12,000 people, are currently witnessing an influx of business, hotels and places to eat. It is an integral part of Hamburg’s bid for the 2024 summer Olympic games as the potential site of the Olympic Stadium. Join a Saturday morning walking tour of the area, themed around architecture and design, to witness the new face of Hamburg while awaiting the critical mass. The International Maritime Museum Hamburg is the pet project of the retired local businessman Peter Tamm. He donated his vast, scholarly collection to the city some five years, helping to found the museum on the fringe of HafenCity — but it’s not without controversy. While the ten-deck museum is well curated with interpretation in English as well as German, deck five has attracted criticism for allegedly glorifying Germany’s role in two world wars. More considered are decks two and three, which take a more international perspective on the history of seafaring and maritime exploration. There’s a compelling section devoted to Lord Nelson and a display about the rise of the English navy under Henry VIII. Take a break from exploring for the good-value set lunch at nearby Wasserschloss, an atmospheric waterside restaurant and teashop. The 17th-century building, set amongst old storage warehouses, served as a residence for wealthy Hamburgian merchants at the height of the trading era. After soup and the catch of the day, served with potatoes and vegetables (budget around 20E), pop to the next-door shop to stock up on speciality teas from around the world. The green tea with lemongrass is particularly refreshing and available by the cup in the restaurant. Heading inland, take a stroll around the historic Speicherstadt warehouse and Kontorhaus business districts, recently granted World Heritage status by Unesco for their functional and architectural interest. The 19th-century warehouses of the former once bulged with coffee, spices and tobacco while the 1920’s buildings of the latter include The Chilehaus, styled like a ship’s bow, which is a fine example of the German Expressionism style. The new landmark on the Hamburg cityscape, The Elbphilharmonie Pavillion, will open in this area in October 2016 with the first concerts staged in the triumvirate of concert halls in early 2017. If you’re after some local colour, then the historic Fish Market, located along the harbourfront from central Landungs-Brucken, offers lots of produce-vending theatre. It is accompanied by a flea market, which is great for inexpensive souvenirs and Hamburg-branded gifts. It’s particularly colourful on a Sunday morning when a broad of visitors from local couples to tour groups via a raft of all-night revellers, gather from early until 9.30am in the Auction Hall for a surreal blend of club after-party and early-morning shopping trip. Head upstairs to the quieter mezzanine for a slap-up 20E breakfast buffet with plenty of fresh fish. Heading inland, the former Red Light District of St. Pauli, straddling the legendary Reeperbahn, has cleaned up its act since the day when four lads from Liverpool arrived to play The Indra Club in August 1960. Get the full story with a musical accompaniment on the Hempel Beatles tour, tracing the landmarks around the backstreets with the ukulele-playing songwriter-turned guide Stefanie Hampel. There’s an open tour on Saturdays at 6pm or contact her direct for other times. Audience participation on the harmonies of Twist and Shout is actively encouraged and a rousing conclusion to a day ashore. This story was first published in Telegraph Cruise. Liked this? Try also Hamburg harbour days.